Saw this one on Shorpy. May 1943. "Woman and her dog in the Harlem section." 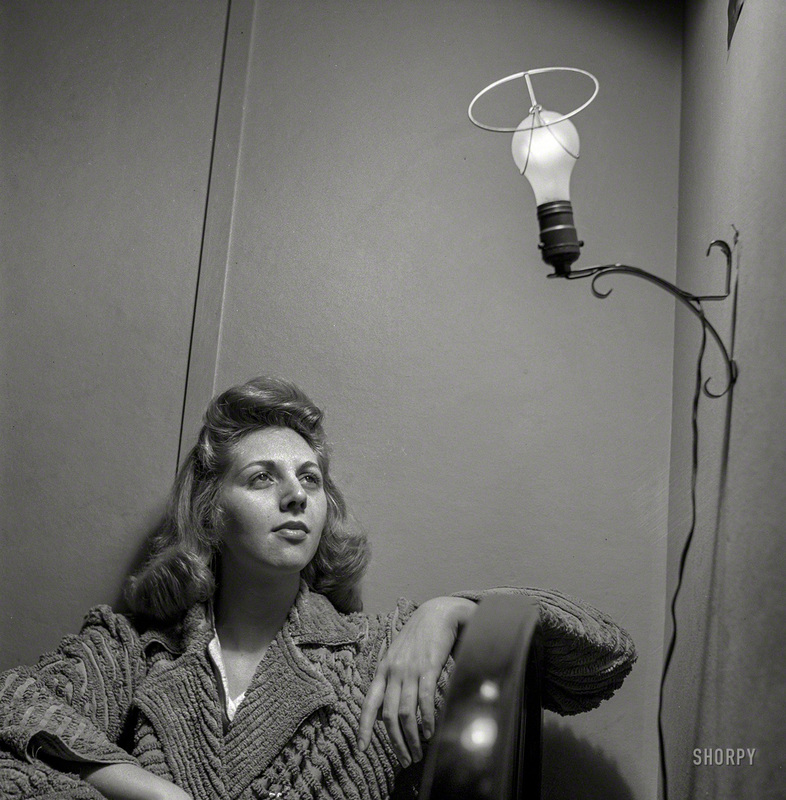 Medium format negative by Gordon Parks for the Office of War Information. That's a gorgeous photograph. 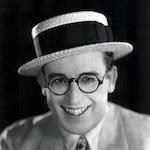 The highlights have that silvery tone that looks similar to the highlights in nitrate film. I wonder how the photographer did that. Here's another I like from Shorpy. This falls into the so-odd-it's-cool category. Caption: January 1943. Washington, D.C. This Office of Price Administration clerk, speaking of her boardinghouse room, says: "The light looks like an angel when I leave the shade off, so I do so." Did you mean to post this one? It didn't show up in the post. This is a really cool one! I love it. Yes, that's the one. Thanks! The woman in black front and center does *not* look happy to be there. 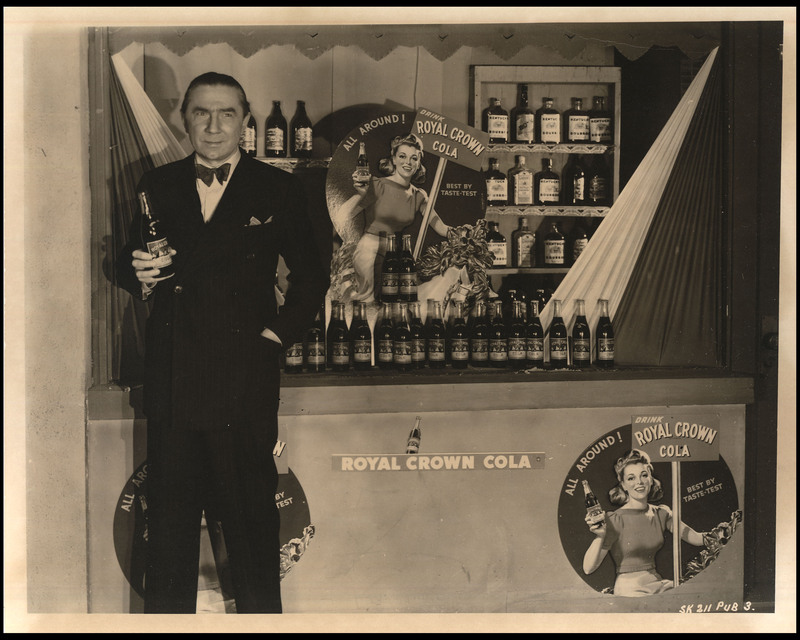 Bela Lugosi enjoys an RC. I can't figure out that lady. It looks like she's leaning back. Very odd. I wonder why some of them look so miserable.